I love surprises. I enjoy the moments when something out of the ordinary happens and once again I realize that the world is a bigger place than I have given it credit for. On a recent trip to Miami with the Automotive Addicts team to attend a luncheon sponsored by GM to roll out the new Corvette Stingray, I was able indulge in a once-in-a-lifetime visit to Miami’s Auto Museum at the Dezer Collection. At the lunch I met fellow car enthusiast, author, journalist, and the current curator of Miami’s Auto Museum at the Dezer Collection, Myles Korblatt. The two of us immediately hit it off, and why wouldn’t we, he is an authentic car guy. Myles’ love, appreciation and knowledge of all things automotive are contagious. 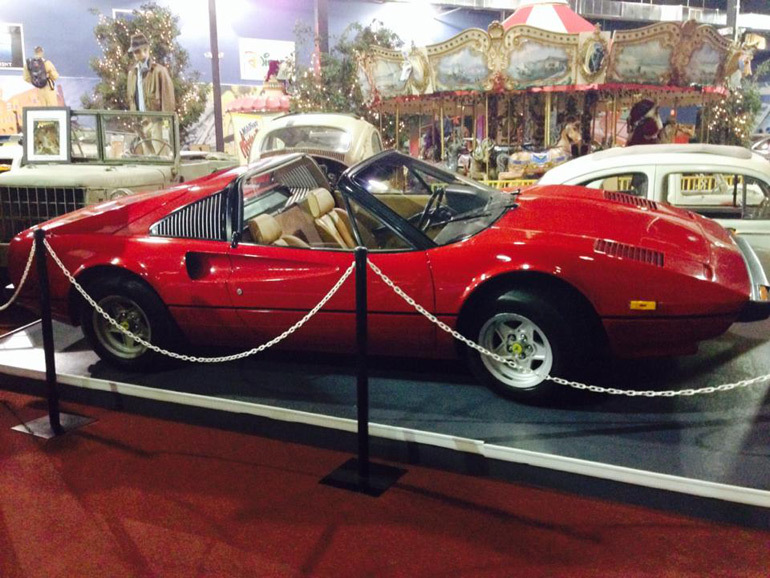 During the conversation, he invited the Automotive Addicts team to visit the museum and view the 1500 vehicle collection. It didn’t take too much convincing, to view a collection of 1500 pristine vehicles in a climate controlled environment almost sounds too good to be true. After lunch, we followed the GPS instructions to the colorful, art deco multi-building complex in North Miami. Upon arriving at Miami’s Auto Museum, we followed the signs to the 50s diner style lobby, complete with vintage cars fashioned into booth style seating. Even from the entrance, the overwhelming volume, quality, and uniqueness of the collection of vehicles and vehicle-related collectibles begins to astound you. You eventually realize you are in for one of those “the world is a bigger place than you gave it credit for” experiences. The collection is broken up into fifteen dedicated galleries in two buildings. One building houses the American classics, European classics, military vehicles, electric vehicles, motorcycles, scooters/bicycles, and outboard motors. 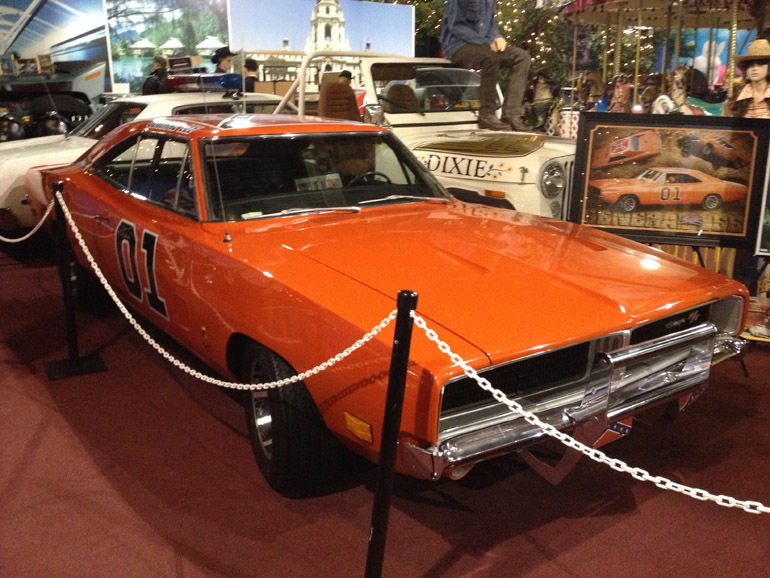 The other building is mostly designed around pop culture themes, including an incredible collection of Hollywood memorabilia and the original cars used in long running television shows including; The Dukes of Hazzard, Night Rider, The Munsters, The Monkees, and Hardcastle and McCormick. If you are anything like me and considered the real star of Magnum PI to be a red Ferrrari 308GTS, then you are in for a real treat. The other pop culture galleries are movie themed. If you ever wanted to see almost all of the Batmobiles under one roof, then the Dezer Collection is the place to visit. Do you love 007? 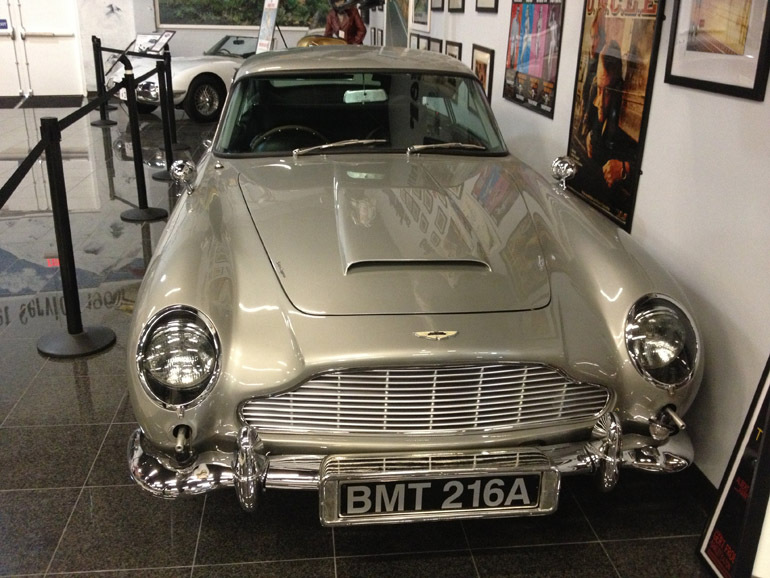 The James Bond gallery is incredible. 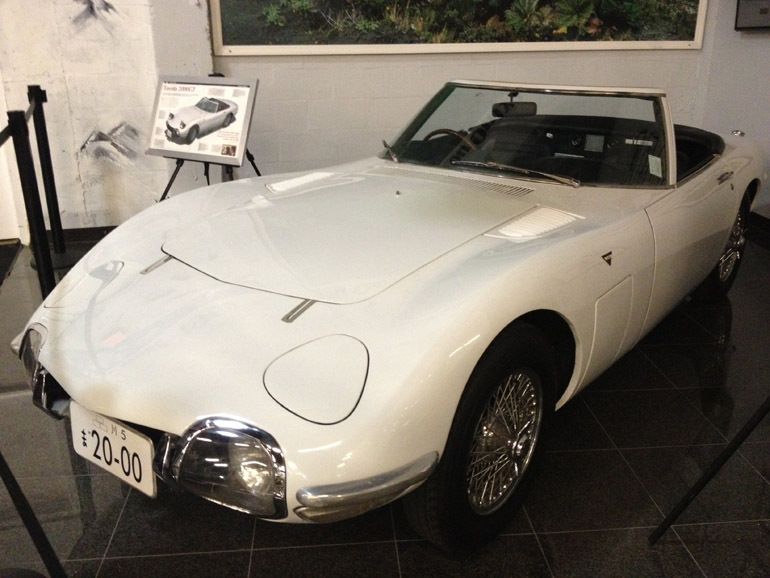 The collection includes many rare and exotic cars, including two mint examples of Bond driven Austin Martin DB5’s and the “most collectible Japanese car of all time,” the 1967 Toyota 2000GT convertible. The gallery also includes tanks, submarines, boats, helicopters and a hall of vintage Bond theme toys and small collectibles. It is fair to say that a family could spend a day working through this gallery alone. Also housed under the roof of the pop culture building is the world’s largest collection of micro cars, an indoor drive in Movie Theater, a children’s play space, an arcade, an electric train display and more. I can comfortably say that there is something at Miami’s Auto Museum at the Dezer Collection for everyone. Personally, I cannot wait to go back and explore even more of this incredible museum. BMW continues to keep its flagship 7-Series at the pinnacle of what the full-size luxury segment has to offer. 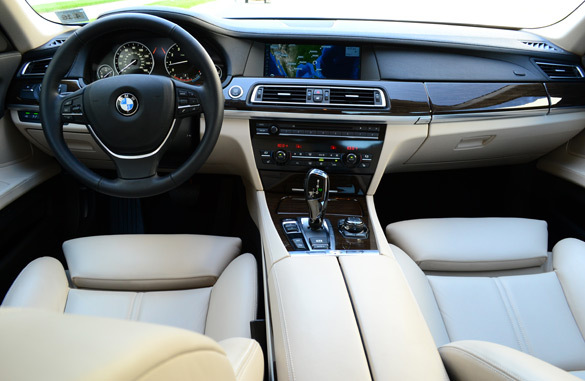 Continuing the same fifth generation design with only a minor feature-set refreshing for the 2012 model year, the 7 Series boldly stands out front in the line at of the mainstream luxury sedan segment. 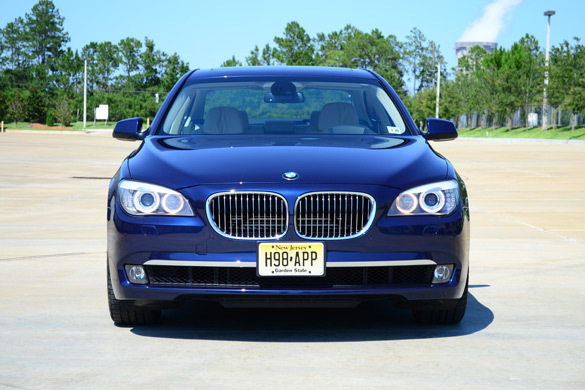 I had the chance to spend a week with the new 2012 BMW 750i. 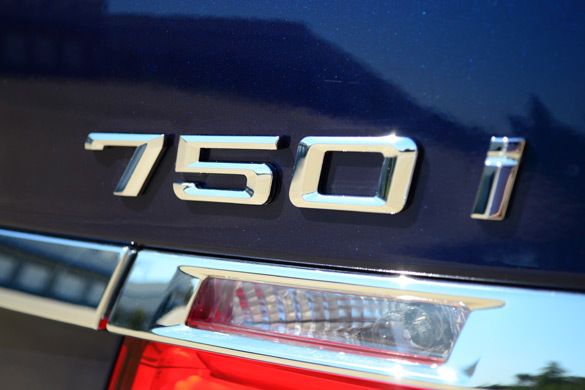 In a nutshell, the new 750i has a supple ride, surprising road going enthusiasm and enough available techie options and amenities to keep a rocket scientist busy for days. 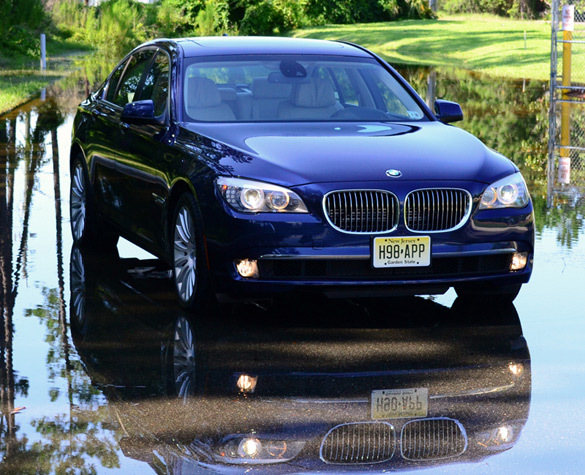 With that said, in true BMW fashion, the 7 series remains to be a vehicle you cannot simply jump in and drive. You must first become acquainted with the vehicle just as you would a new-found friend who could potentially become your BFF one day. 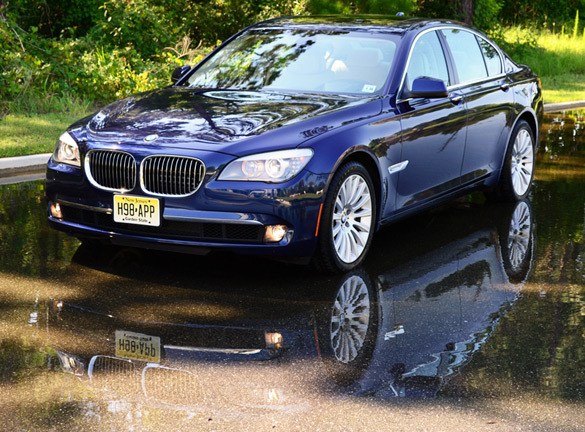 It didn’t take long for the 2012 BMW 750i to become a welcomed part of my family. The very first drive I took the 750i on started off with the interstate where I could get a good feel for its road-going prowess. Being equipped with a sophisticated active damper suspension system, I was able to dial in how the 750i’s handled itself on the road. The dampers can be set to their softest with the Comfort setting and progressively firmed through Normal and Sport modes. In Normal and Comfort modes, the 750i virtually glided over bumps with hardly any noticeable upset in balance when encountering large dips in the road or even potholes. I can walk away from the new 750i attesting to it being one of the best riding luxury sedans I have ever driven. 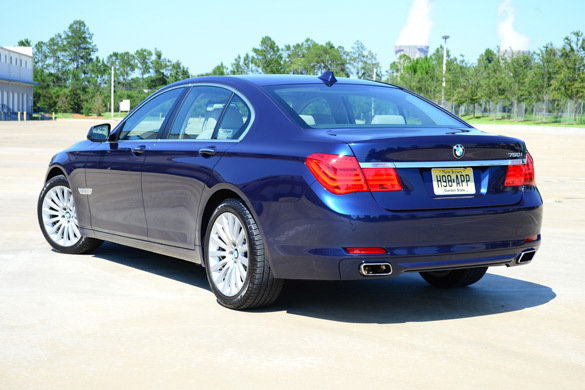 The new 2012 7 Series is available in five different trims, 740i, 740Li, 750i, 750Li and 760Li. 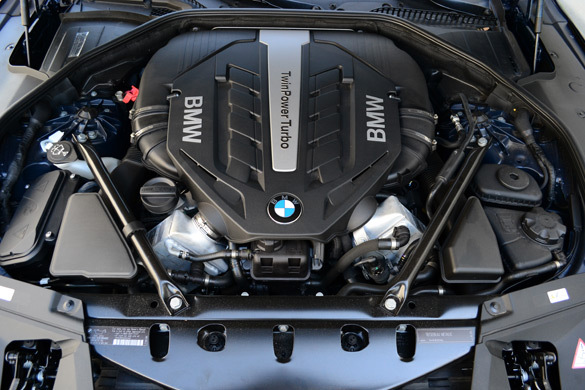 The difference in the trims starts with a choice of three different engines starting with the 740i/740Li’s 3.0-liter inline 6-cylinder twinscroll turbocharged engine sourced from the 135i, 335i and 535i. Then it is on to the 750’s 4.4-liter twin-turbo V8 with 400 horsepower and 450 ft. lbs. of torque found in my 750i test vehicle. At the end of the trim spectrum, you get the creme de la creme 760Li’s 6.0-liter twin-turbo V12 good for 535 horsepower and 550 lb-ft of torque. A BMW 7 Series hybrid, the 7-Series ActiveHybrid, comes with the same 4.4-liter twin-turbo V8 as the 750i or 750Li but has 440 horsepower and adds a 20 horsepower electric motor for a total output of 455 horsepower and 515 lb-ft of torque. Of course in true Hybrid fashion, fuzzy math is used for the conclusion of power output (several differentiating variables). 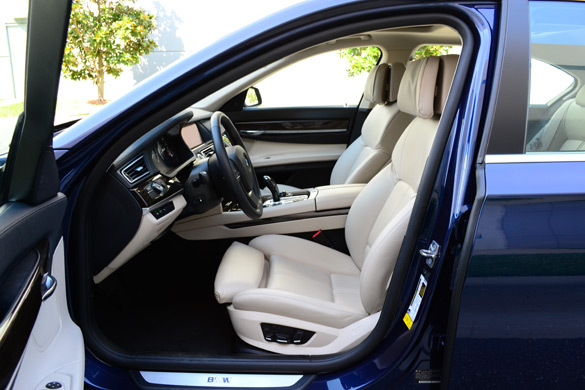 With everything working in sync on the 7-Series ActiveHybrid, you are able to better the 750i’s mpg rating of 15mpg city and 22mpg highway to get 17mpg city and 24mpg highway. Moreover, the hybrid model dashes from 0-60 mph in only 4.7 seconds versus my 750i test vehicle’s time of just over 5 seconds. 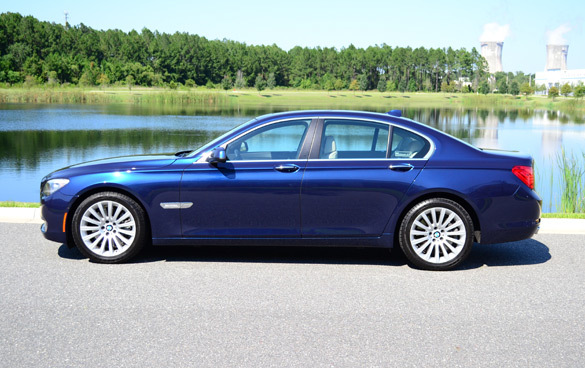 My 2012 BMW 750i proved to be quite the performer eagerly pumping out 450 lb-ft or torque as low as 1750 rpm and topping 400 horsepower at 5500 rpm. Throttle modulation was initially an issue in some cases barking the rear tires until I could compensate for the pedal’s extreme sensitivity. An xDrive option is available on the 750i and 750Li to direct power to all four wheels potentially balancing out the torque surge. 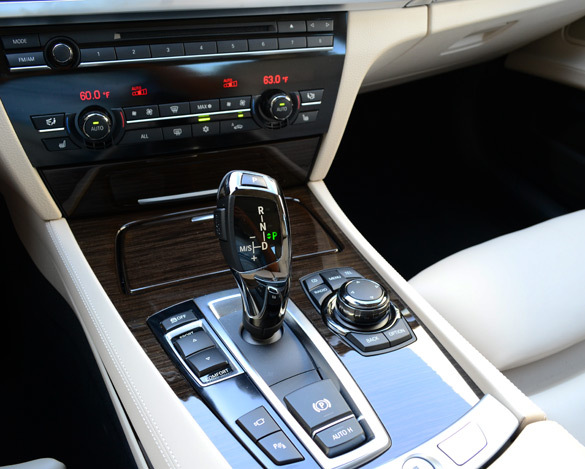 The new 2012 BMW 7 series directs power to the wheels through a 6-speed automatic transmission. Transmission programming and mapping learns the driver’s inputs rather quickly. 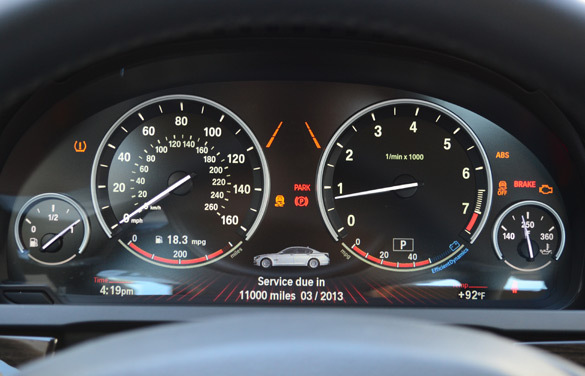 Using the driver select modes, the transmission mapping drastically changes when set to Sport and Sport Plus modes. Sport Plus mode will hold lower gears, set the dampers to the firmest setting and add extra weight to the steering wheel for better feedback. Despite the added weight to the steering wheel feedback in Sport Plus mode, it tends to feel somewhat artificial and dare I say, disconnected at times. Nevertheless, you will never encounter vibrations or an unsettling steering wheel unless it is from the blindspot or lane departure warning system. Handling for the 750i, being that it is the normal wheel base version, is predictable only after spirited driving. 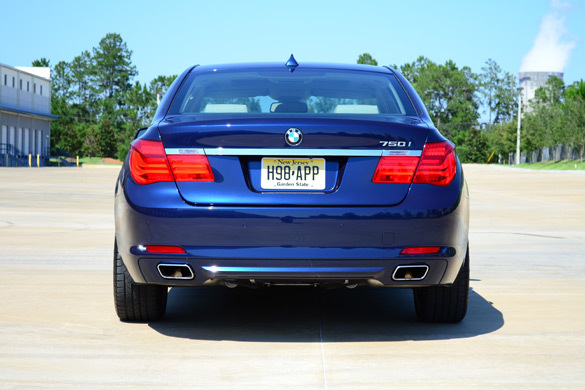 You never really notice how well-balanced the BMW 7 series is until you really push it to the limit. Its handling abilities can be easily misguided because everything is so plush when you drive within law-abiding parameters. However, outside of obeying the speed limit and taking turns like your grandparents, the 750i reminds you that you are still behind the wheel of the ultimate driving machine. I won’t go as far as to say the new 750i could be your temporary track car, but it is safe to say that it is one of the sportiest main-stream large luxury vehicles on the market. 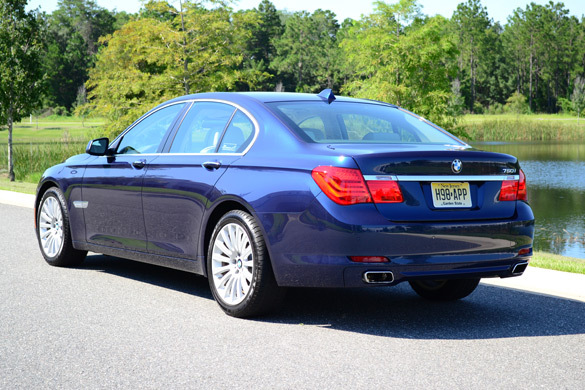 The new 2012 BMW 750i’s exterior styling remains the same as last year’s model. Being in this fifth generation the 7 series returns to the brands blend of styling cues, which complements the rest of the BMW lineup. 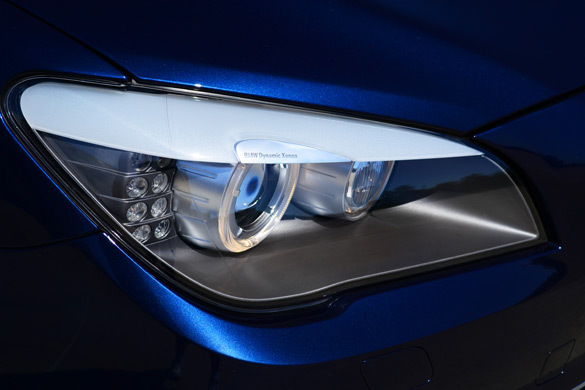 The use of familiarized yet sharp-looking LED taillights and turn signals along with typical round headlights with halo accent lighting modernize the front and rear fascias. The larger kidney grills defines the 7 series’ demeanor making a bold statement. 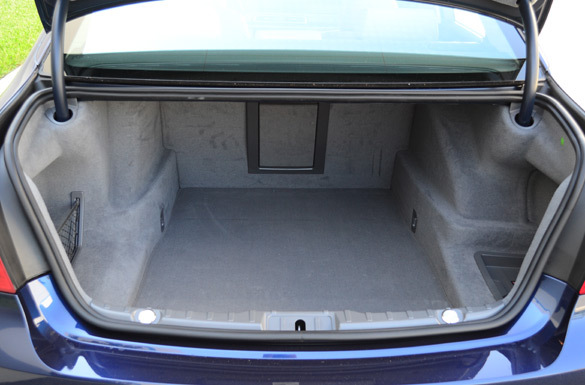 The use of lightweight construction and aluminum door panels adds additional rigidity without packing on much heft to an already large vehicle. 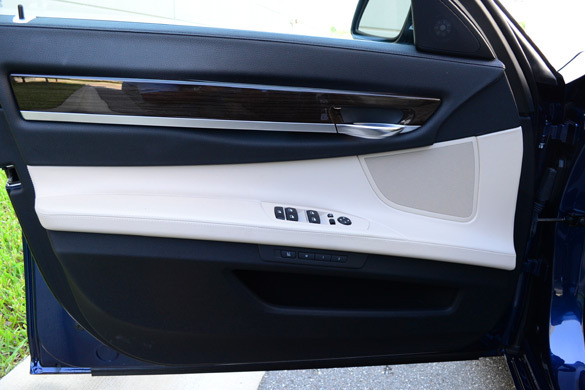 Special attention to wind tunnel testing keeps the 7 series sleek and lessens wind noise. To make things sporty, an optional M sport package will add a choice of 19-inch or 20-inch lightweight double 5-spoke alloy wheels, an aerodynamic body kit, and darkened “Shadowline” exterior trim. 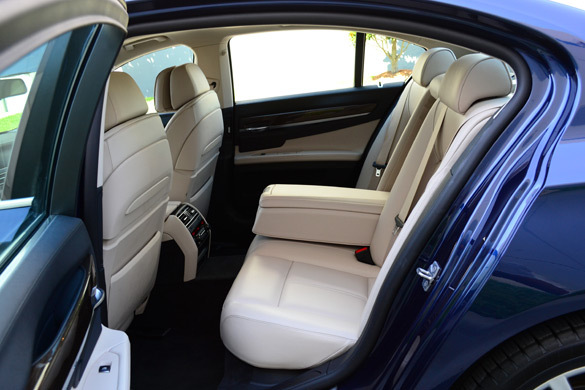 The interior of the new 2012 BMW 750i can be a love or hate thing depending on your history and familiarization of luxury cars. Someone walking away from another German luxury sedan may feel at home in the new 7 Series, while those departing something like a new Lexus LS may require extra time for acclamation. 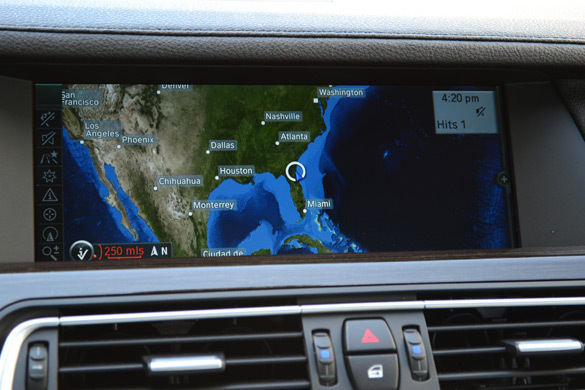 The latest iDrive, BMW’s long-touted user control interface, has been tweaked for many years resulting in a responsive and feature packed system. iDrive in the new 750i, virtually the same in all iDrive equipped BMW vehicles, still takes a while to get used to. However, iDrive has never been this good and proves to be one of the most responsive control interfaces for a luxury automobile. Dedicated function buttons such as Back, Navigation, Telephone, Radio, CD and Options puts you on a one-way learning path. It is only until you start to move the central iDrive controller to the left or right when things get confusing. 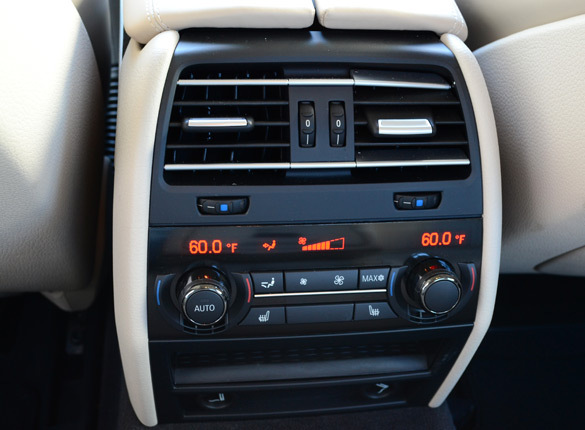 Either way, time is required to familiarize yourself with BMW’s iDrive and it will eventually be one of the best complicated, yet feature-packed, systems you ever used. In German fashion, my BMW 750i test vehicle had a list of a-la-cart options leaving out a few features normally bundled in packages on the brands Japanese competition. Some of the highlighted features that I did get to experience were the color heads-up display, ceramic controls (iDrive controller, ac/heat front and rear dials), heated front/rear seats, heated steering wheel, side and top-view cameras (side camera for viewing left-right oncoming traffic, top cameras for surround view during backup), automatic highbeams, and blind spot/lane departure monitoring/warning through vibrations in the steering wheel. Already, the 750i gets a long list of standard features as you would expect on any luxury car in addition to 20-way power front seats, 19-inch alloy wheels wrapped in run-flat all-season tires, dynamic damping control, park distance control, iDrive w/GPS navigation and LCD widescreen, HD radio w/ iPod connection, Bluetooth connectivity with audio streaming, an electronic analog instrument cluster w/color LCD display background, illuminated exterior door handles, and ground illumination. 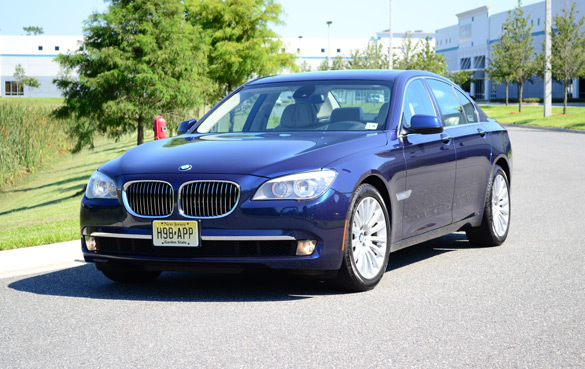 The new 2012 BMW 750i, poised as the ultimate LUXURY driving machine, serves up the perfect blend of an enthusiast luxury vehicle. With the 7 Series, everyone gets exactly what they ordered from a big 3-course menu at a 5-star restaurant. Of course the menu items are priced to match what you would expect for 5-star accommodations. Though, limiting your selections is the only way to keep the price below 6-figures. 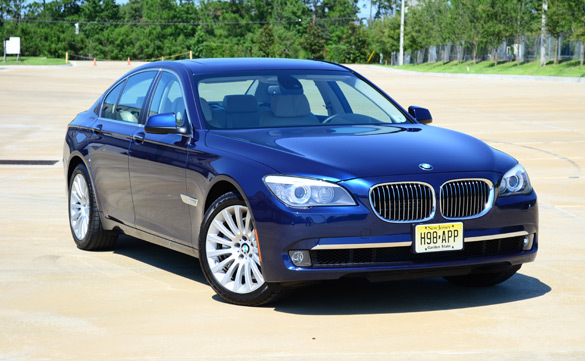 The new 2012 BMW 750i starts at an MSRP of $84,300 while the 740i can be had for a starting price of $71,000. Expect to pay upwards of $95,000 for a well-equipped 750i and north of that, into 6-figures, for a loaded-up 750Li xDrive.